Plenty news regarding solar and renewable energy emerged March 16–23 week: Analysts see the beginning of the end for thermal coal in Japan and Asia; U.S. grid operators see more solar and less coal in their future; utility-scale solar and solar-storage projects launched in Spain and the U.S.; 100 percent renewable energy goal advances in Puerto Rico; one utility-scale floating solar farm came online in China and another is planned in Thailand. A strategic investment shift away from buying coal and investing in renewable energy projects among big Japanese banks, trading companies and international development banks is under way , according to energy analysts, The Guardian reported this past week. The shift from coal to renewables marks a “monumental” shift that signals the beginning of the end of thermal coal use in the power sector across Asia, according to The Guardian’s report. Japanese banks and trading houses are divesting their holdings in Australian mines and canceling plans to build coal-fired power plants. Japan is the largest buyer of Australian thermal coal, the news report points out. No less than three-quarters of the coal power projects proposed in Japan in 2015 are now unlikely to be built, according to the Global Coal Plant Tracker. Among the projects likely to be canceled is a 1.3-GW coal-fired power station in Akita, in Japan’s north-west coastal region. Two others were canceled earlier this year. In addition, Sojitz Corporation this week announced it will further divest investments in thermal coal. Two other multinational Japanese trading companies recently announced they would exit the thermal coal sector — Itochu last month and Mitsui last November, according to the report. Two prominent Japanese development banks, the Japan Bank for International Cooperation and Japan International Cooperation Agency, have stated they intend to scale up their renewable energy investments in recent months. Electricity demand in Japan is declining along with population. It appears that coal power generation is being crowded out by the restart of nuclear power plants and growing deployment of solar, wind and other distributed renewable energy resources, energy analysts told The Guardian. The Guardian points out that some members of Prime Minister Shinzo Abe’s cabinet have been urging Abe and the government to take stronger action on climate change. Foreign affairs minister Tarō Kōno has called for Japan to raise its target for renewables’ share in Japan’s energy mix from 22%–24% by 2030, pointing out that it already stands at 24 percent. Fossil fuels will account for 56% of the energy mix in 2030, with nuclear power accounting for 20–22 percent in 2030, according to the government’s latest energy plan, The Guardian notes. 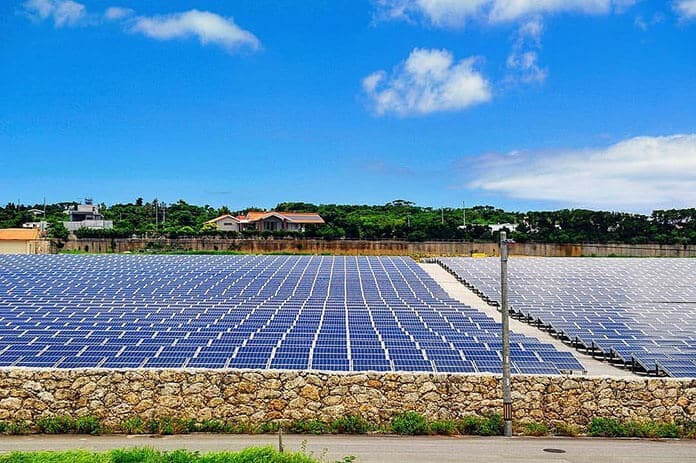 Tokyo-based market research company RTS says Japan’s cumulative installed solar power capacity could reach 150 GW by 2030, up from some 55.5 GW as of 2018. RTS expects 4 GW–6 GW of new solar power capacity will be installed in Japan annually. At that pace, the government’s 2030 target of 64 GW would be surpassed within the next year or so and cumulative nationwide solar generation capacity would be likely to increase to 121 GW by 2030, according to an industry news report. Annual electrical energy demand in Japan totals 927.8 TWh at present, according to RTS. That includes power consumption by industry, businesses, households and the transport sector. 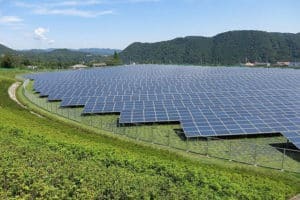 RTS says 60 GW of PV could be installed in Japan’s manufacturing sector by 2030, which would represent approximately 10 percent of the sector’s total electricity demand. Residential solar PV capacity could rise to 80 GW within the next decade, about 20 percent of total household electricity demand. 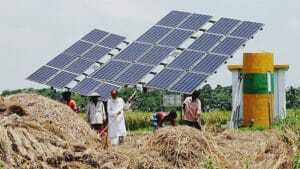 It also expects as 10 GW of solar PV capacity to be deployed in the agricultural sector by 2030. 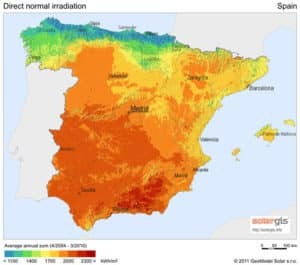 The Spanish utility and multinational energy services company said it had begun construction of the 50MW Núñez de Balboa solar power plant in Badajoz, Spain this past week. The plant will be able to produce enough energy for roughly 250,000 people and is slated for completion in 2020, according to a news report. Iberdrola said it is investing 300 million euros (~USD340 million) in Núñez de Balboa, which is its first solar PV plant in Europe. It had previously focused on developing large-scale, concentrating solar thermal power plants, which use reflective mirrors to concentrate the sun’s rays on a huge tank’s containing water or another, a more energy efficient or molten-salt energy storage solution located atop centrally positioned towers to produce steam, which is then used to drive turbine generators, much like a conventional thermal coal power plant. Iberdrola management stated the company would invest 13.3 billion of a total 34 billion euros in renewable energy between 2018 and 2022 , according to the news report. The company intends to install 3 gigawatts (GW) of wind and solar power capacity in Spain by 2022 and 10 GW by 2030. NextEra Energy Resources will build the 100-MW solar PV, 30-MW battery-based energy storage facility near Searcy in Arkansas’ White County. Entergy will own and operate the plant once it’s completed. Southern and south-central U.S. states have been slow to open the doors of their power markets to independent solar and wind power producers, as well as reticent to facilitate residents and businesses installation of solar PV systems. That’s beginning to change, however. The Searcy solar power-battery energy storage plant is Entergy’s third investment in emissions-free solar power generation. The project is slated for completion in 2021, but it needs the approval of Arkansas’ Public Services Commission in order to proceed, according to an industry news report. If and when completed, it would raise Entergy’s installed solar power capacity to 281 MW, all from solar power plants built by NextEra Energy Resources, the report notes. All told, Entergy owns and operates some 30 GW of electric power generating capacity and serves some 2.9 million customers in Arkansas, Louisiana, Mississippi and Texas. Entergy has already contracted to purchase the emissions-free electricity produced by an 81-MW plant NextEra owns and operates near the town of Stuttgart and the 100-MW Chicot Solar farm, which is currently under construction. 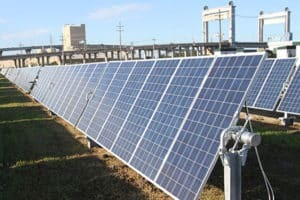 “As the largest solar provider and a leader in renewable energy in Arkansas, Entergy is proud to bring a third large-scale solar project to the state that will allow our customers to benefit from the economic and environmental advantages of renewable energy, while at the same time learning about the benefits of battery storage,” Entergy Arkansas CEO and President Laura Landreaux was quoted as saying. “We want all of our customers to have the benefit of solar energy, and we also want to help individual customers meet their renewable energy goals,” she reportedly said, adding that the state PSC’s recent approval of a solar energy tariff would give utility customers the option to purchase solar power. The New England regional independent systems operator (ISO) forecasts 463.1 MW of new solar power capacity will be installed across its service territory this year. 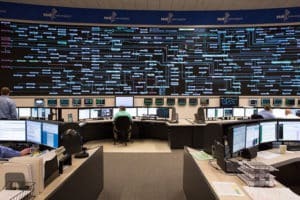 In addition, the regional wholesale electricity markets and transmission grid operator expects behind-the-meter grid assets, such as solar PV and battery energy storage systems, will reduce peak electricity demand by 707.6 MW this summer, according to S&P Global’s Platts energy market data and market research services provider. 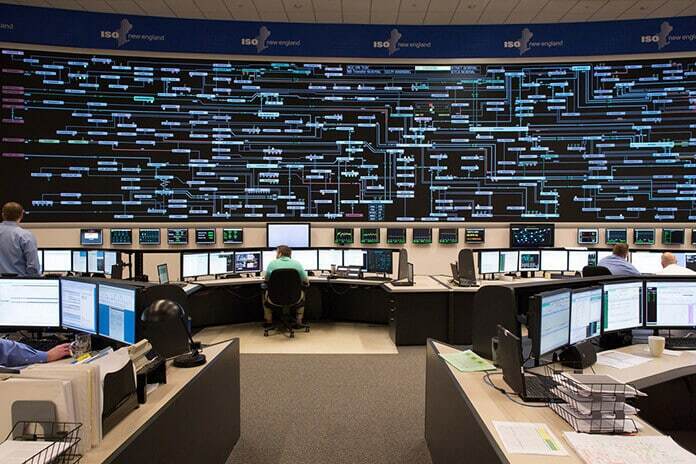 ISO-NE is responsible for managing a 32 GW power grid and associated markets that deliver electricity to six New England states, as well as the New York Power Authority and utilities in New York State and Canada’s Hydro-Québec and NB Power when necessary. Discussing its 2019 and longer-term solar power forecasts publicly this past week, ISO New England revealed that it expects cumulative, regional power generation capacity to increase from 2,884 MW as of year-end 2018 to 6,744 MW in 2028, a 134 percent rise, according to Platts’ report. New England’s regional grid operator expects Massachusetts to install the most new solar power capacity among states in the region in 2019 — 292 MW, or 63 percent, of the forecast annual total. The utility expects Connecticut to follow, adding 68.4 MW of solar power capacity this year. ISO-NE projects that 4,047 GWh of emissions-free solar energy will be produced across its service territory in 2019, and that will increase to 8,511 GWh in 2028, according to Platts’ report. The forecasts adjust for varying solar energy capacity factors for each state, which range from 13.8 percent in Vermont to 14.8 percent in Rhode Island. 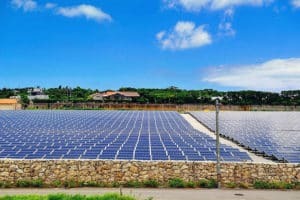 The regional grid operator also expects that behind-the-meter solar PV systems will reduce estimated summer peak load by 707.6 MW in 2019 and 1,050.6 MW in 2028, according to the grid operator. Behind-the-meter solar, solar-storage and other types of generation sources don’t directly participate in ISO-NE’s wholesale power markets, but the power they produce is having a growing impact on grid operations across the region. They are connected to local electricity distribution grids and the electricity they produce reduces load. ISO-NE, along with regional ISOs and electric utilities across the U.S., have been moving towards supporting greater penetrations of distributed, behind-the-meter solar power generation and energy storage, and revising technical and market rules and regulations accordingly. ISO-NE and residential solar energy market leader Sunrun established a U.S. power industry milestone this past February when the ISO awarded Sunrun a contract to provide 20 MW of peak-power capacity aggregated from its Brightbox residential solar-plus-storage systems from 2022–2023. That’s about the amount of electrical power used by 5,000 typical New England utility customers, according to California-based Sunrun. A very rare instance of a federal government-owned corporation, the Tennessee Valley Authority (TVA) to add from 4–9 GW of solar power capacity to its regional power grid over the next 20 years while cutting that supplied from coal-fired power plants. 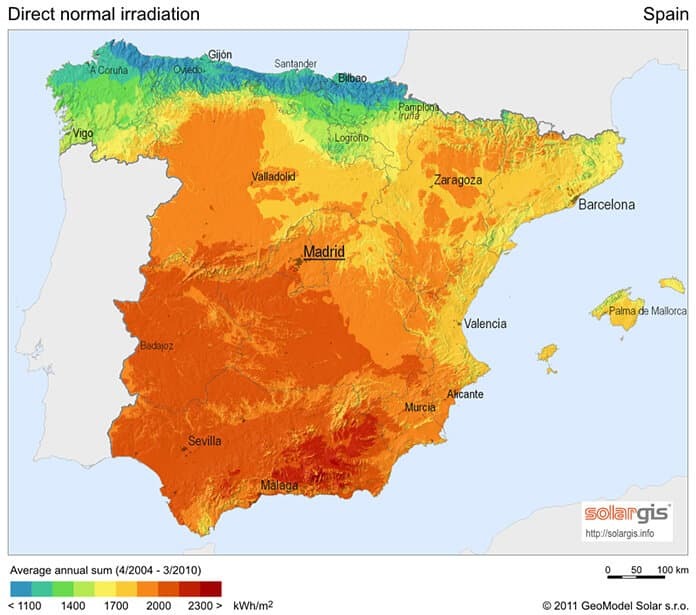 The actual figures will vary according to numerous factors, but the amount of solar and renewable energy TVA forecasts it will need during the next two decades increases and coal-fired generation decreases in all 30 scenarios the regional grid operator analyzed to produce its draft Integrated Resource Plan for 2040, renewable energy is projected to increase and coal generation will decline, according to a local news report. TVA has shut down its John Sevier, Widows Creek, Colbert and Allen coal power plants, and it plans to shut down its Paradise and Bull Run coal plants in the next three years, The Chattanooga Times Free Press highlights. TVA doesn’t plan to build any new baseload power generation in the next 20 years for the first time in its long history. “The only new generation to be built or added will be designed primarily to replace aging plants being phased out, according to Laura Campbell, vice president of enterprise planning at TVA,” the report adds. “Solar is becoming less expensive and a least-cost option in the future, so we do see a build out in solar capacity in all different scenarios,” Hunter Hydas, a project manager for TVA’s new Integrated Resource Plan, was quoted as saying. TVA sees solar increasing across the board — on the part of businesses that want to use more emissions-free, renewable power, among individual homeowners interested in installing rooftop solar panels, among community groups sharing ownership in solar power farms and from utility-scale solar power farms TVA will build, Hydas reportedly added. Created in 1933 to help states and areas located along the Tennessee River Valley recover from the Great Depression, TVA operates a power grid that serves customers in most of Tennessee, parts of Alabama, Mississippi, and Kentucky, and small areas of Georgia, North Carolina, and Virginia. Puerto Rico’s Senate passed a bill that requires 40 percent of the energy produced on the U.S. island territory to come from renewable energy by 2025, 60 percent by 2040 and 100 percent by 2050. The bill now moves on Puerto Rico’s House of Representatives for reconciliation and then on to the desk of Governor Ricardo Rosselló, who is expected to sign it into law, according to an industry news report. 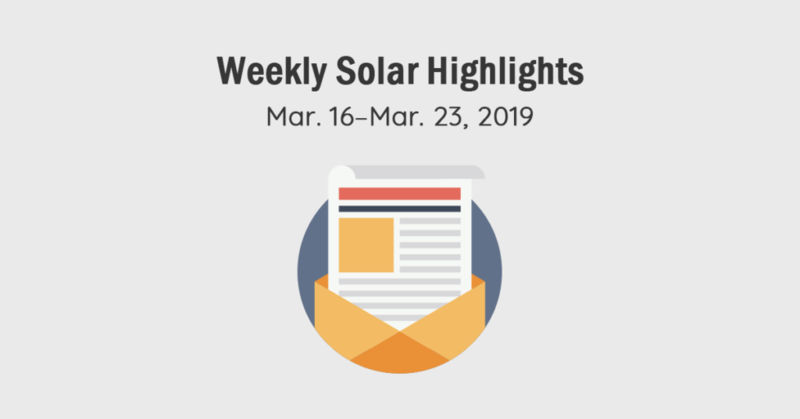 Several items included in a previous version of the bill solar industry players and proponents considered detrimental to solar energy growth in Puerto Rico have been changed for the better, according to a LinkedIn post by P.J. Wilson, the president of the Solar + Energy Storage Association of Puerto Rico. The bill keeps Puerto Rico’s net metering policy up and running for the next five years. It also shortens solar-to-grid interconnection timelines and streamlines permitting of utility-scale solar projects, according to Wilson’s post. It also exempts energy storage systems from sales tax. Javier Rua-Jovet, Sunrun’s director of public policy in Puerto Rico, was quoted as describing the bill’s passage as a “really open” process that included several public hearings and a “serious dialogue that clarified things.” He also highlighted the emergence of a “strong consensus” among the various stakeholders, including the executive branch, given the near complete destruction of Puerto Rico’s power grid by Hurricane Maria in 2017. “The completely centralized, old-fashioned way to go, was not tenable,” Rua-Jovet told PV Magazine. One-hundred percent renewable, or zero-carbon energy bills will be in effect in five U.S. state-level jurisdictions should the Puerto Rico bill be enacted , as is expected: Hawaii (100% renewable by 2045), California (100% zero-carbon by 2045), Washington D.C. (100% renewable by 2032), New Mexico (100% zero-carbon by 2045) and Puerto Rico (100% renewable by 2050). Collectively, they represent some 47 million people, about 14 percent of the U.S. population, Sunnova, the leading residential solar and energy storage systems finance and installation company in Puerto Rico, pointed out. 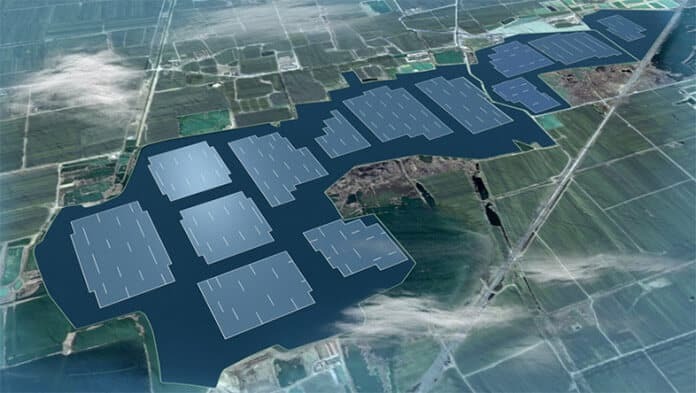 Built over the water on the site of a former coal mine in the city of Suzhou, French floating solar energy specialist Ciel & Terre developed the 70-MW project for state-owned developer China Energy Conservation and Environmental Protection Group. It’s expected to produce some 77.8 gigawatt-hours (GWh) of emissions-free electricity in its first year of operation, according to an industry news report. “The plant completion is a technical achievement considering its size,” Ciel & Terre was quoted, noting that the project makes use of centralized inverters integrated with medium-voltage transformers mounted on poles. “Overall, 1,500 helical anchors were used for the project and buried from eight to 15-meter depth to fit the configuration of the site,” Ciel & Terre reportedly added. A 100-volt transmission line extending 18 kilometers (~11 miles) across the 140-acre installation links 13 so-called solar PV islets and connects the floating solar array to the utility power grid. China’s Anhui province in 2016 issued a tender for the installation of 1 gigawatt-peak (GWp) of floating solar power generation distributed across one dozen sites. Among other strategic goals, the initiative is meant to turn former coal mining sites to good use. Extensive coal mining in the province resulted in large-scale land subsidence and flooding in the province. Nine companies won awards to build floating solar PV farms at these sites. Launched in June 2017, the project is the second floating solar power project in China’s Anhui province. It’s supplying its Hydrelio floating platforms for a 32-MW floating PV system in the province as well, according to the news report. China Energy Conservation Solar Technology oversaw construction and China Energy Engineering Group Shanxi Electric Power Design Institute provided engineering, procurement and construction (EPC) services, the news report adds. A total of some 943 megawatts (MW) of renewable power generation capacity was up and running on mining sites worldwide, and more was on the way, according to a February 2018 research report from the Rocky Mountain Institute’s (RMI) Sunshine for Mines program. “[R]enewables for mines is now firmly established as a critical market segment for the global renewable energy industry. Industry experts predict continued growth for this sector as mines face increasing carbon exposure and energy cost pressures,” Sunshine for Mines states. Thailand has plans to build a utility-scale floating solar power farm, as well. The Electricity Generating Authority of Thailand (EGAT) said it will issue a request for tenders to bid on the 45-MW capacity project May 15. 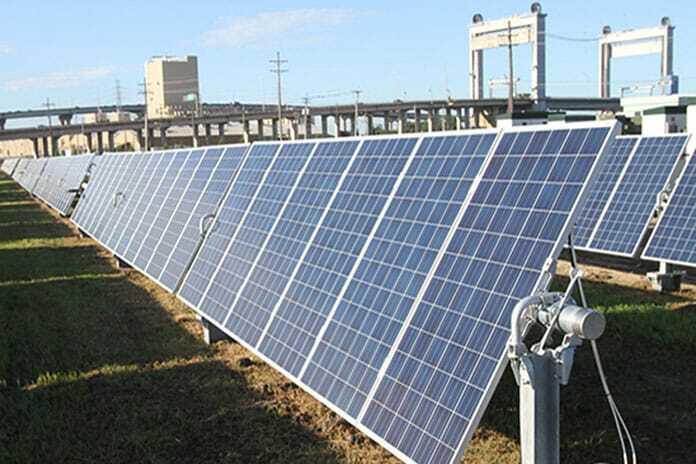 The floating solar PV farm is to be built on the reservoir of the Sirindhorn dam in northeaster Ubon Ratchathani province. Bids are to be submitted by the end of July this year, and the winning bidder announced October 31, according to Thailand solar market update from the international law firm Pugnatorius. According to the project timeline, construction of the project is to begin by January 2020 and the project ready for commissioning in December 2020. The project is the first under Thailand’s 2018 Power Development Plan, which sets a target of 2,725 MW of solar power generating capacity being installed in the country over the next 10 years, Pugnatorius highlights. The project also comes as Thailand readies for its first general election since the military took control of the government in 2014. Solar energy industry players and proponents are looking to a new government to raise the bar regarding Thailand’s renewable energy goals and provide a more certain and supportive policy and regulatory framework. Shakti Pumps (Bangladesh) Ltd. has supplied 15 megawatts (MW) worth of solar-powered irrigation pumps spanning approximately 18,843 acres for 32,000 Bangladeshi farmers who produce some 69,000 metric tons of rice per year, according to a Bangladeshi news report. Shakti expects to increase that to 50 MW by year-end 2020, part and parcel of a project of state-run Infrastructure Development Company Ltd.’s (IDCOL) Irrigation Model. Solar systems on a farm in Bangladesh. Agriculture is a big part of Bangladesh’s economy and society. Most of the Shakti solar pumps have been installed in Bangladesh’s northern and eastern regions. Farmers there are typically unable to irrigate crops adequately during dry seasons given the use of tube wells too shallow to reach the underground aquifer water table, according to Shakti Pumps’ Chetan Kanojia. Some 1.34 million diesel-fueled irrigation pumps are in use in Bangladesh, Kanojia highlighted during the Bangladesh Clean Energy Summit March 10-11. They consume at least 1 million metric tons of diesel fuel valued at around USD900 million per year. Furthermore, the Bangladeshi government subsidized diesel fuel to keep it affordable for farmers. Shakti’s solar-powered irrigation pumps are a much better deal all around, Kanojia says. They’re more efficient, easier to operate and maintain and environmentally friendly when compared to the diesel-fuel generators being used by Bangladeshi farmers. Solar irrigation pumps ranging from three to 18.5 kW of power capacity are being installed under IDCOL’s solar irrigation program. Their dynamic heads range from 10–18 meters, according to Shakti. At present, Shakti (Bangladesh) is supplying its solar irrigation systems to Gazi Renewable Energy, Solargao Ltd., S-Cube Technology and Sherpa Power. Shakti’s solar irrigation pumps are up and running in Africa and India, as well as Bangladesh. All told, they’ve been installed in 50 countries worldwide. More than 100,000 Shakti solar pumps have been installed in India alone, according to Kenojia. Systems installed in Senegal have paid for themselves in just three years, he highlighted. Made of stainless steel, the company’s Solar Water Pumping System typically last 20 years, he added.